Steam Camp Ben 10 is an action arcade video game where your goal is to rescue the families camping and bring them back to safety while avoiding dangers and defeat Steam Smythe’s evil robots. In this game, Steam Smythe’ are rampaging through the beautiful nature park and putting all civilians in danger. Your goal is to rescue and protect the tourist and turn them back into happy campers. The aliens are rampaging the nearby camp! Transform into Stinkfly and rescue the civilians in this action-packed Cartoon Network game – Steam Camp: Ben 10! Grab and let the civilians fly and let them hold each other. Carry them all to safety and have fun! 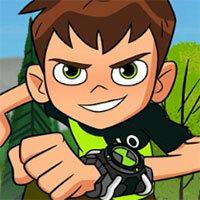 Steam Camp Ben 10 is a free online action game on Round Games.